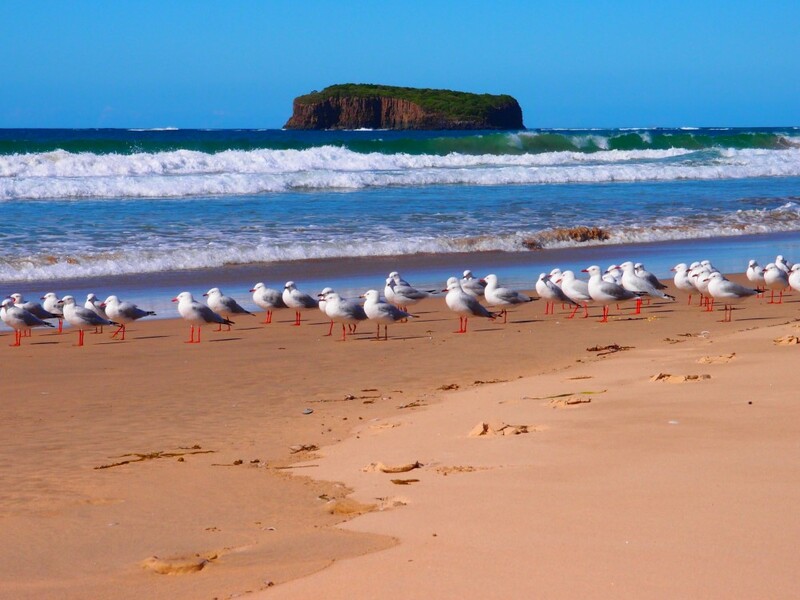 Mystics Beach, also known as Minnamurra Beach, is a quiet surf beach in Kiama, NSW (New South Wales). The beach is secluded and private so it makes a perfect place for those looking for a crowd-free place to surf. 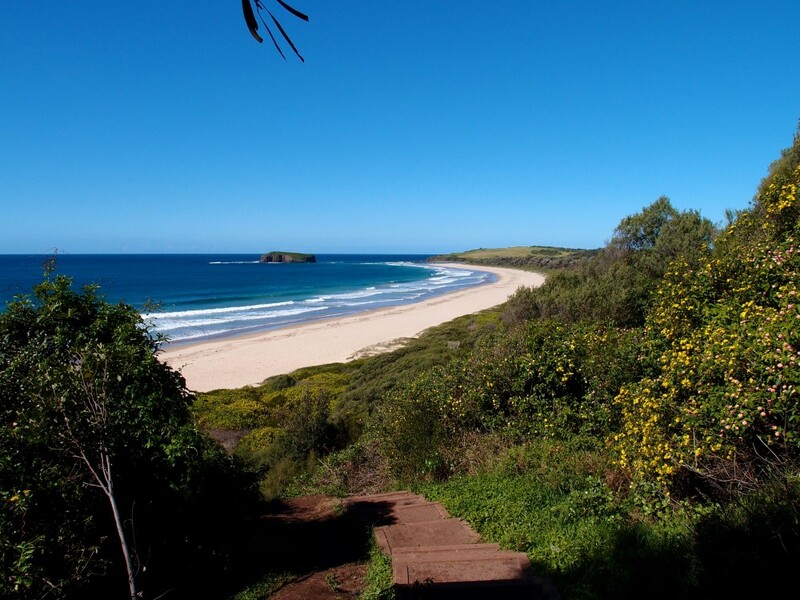 Minnamurra Beach, better known as Mystics Beach, is one of the two famous beaches in Killalea State Park, NSW. The other beach in the area is Killalea Beach, also known as “The Farm”. Mystics is located just off the Minnamurra River estuary. It takes about a two-hour drive south of Sydney to get there. This is one of the most beautiful beaches on the South Coast. Situated between the river estuary and the sea, this clean and quiet beach is an excellent spot for swimming and surfing. The beach is a bit difficult to find, so make sure to bring a map! It is said that beach got its name because of a curious natural phenomenon witnessed by first surfers who discovered the beach: the sea mist meeting the land fog to create a mystical spot. Mystics Beach has an elongated shape, stretching from the rocky headland all the way to the outcrop known as Stack Island. The stretch forms a sand spit with the estuary of Minnamurra River in the back. This is a very scenic area great for surfing, fishing, swimming and camping. 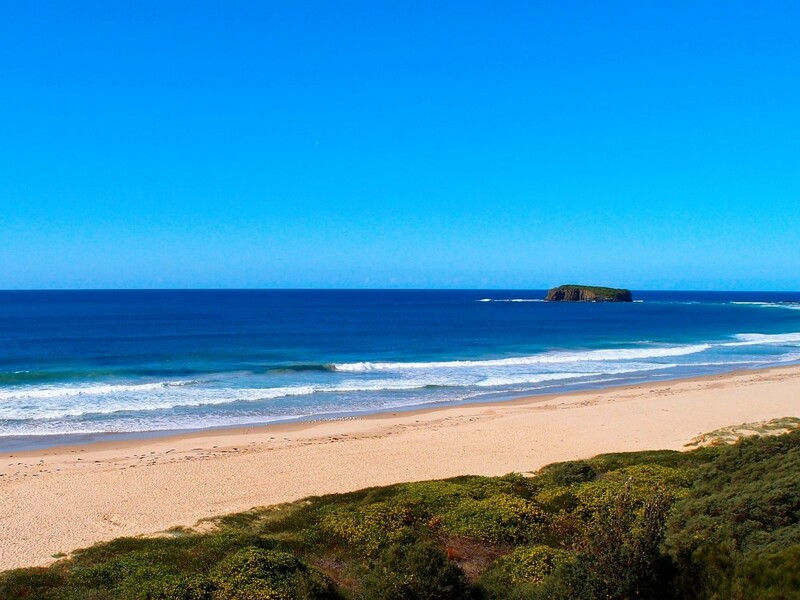 Mystics Beach and the Farm are two surf beaches located in Killalea State Park. 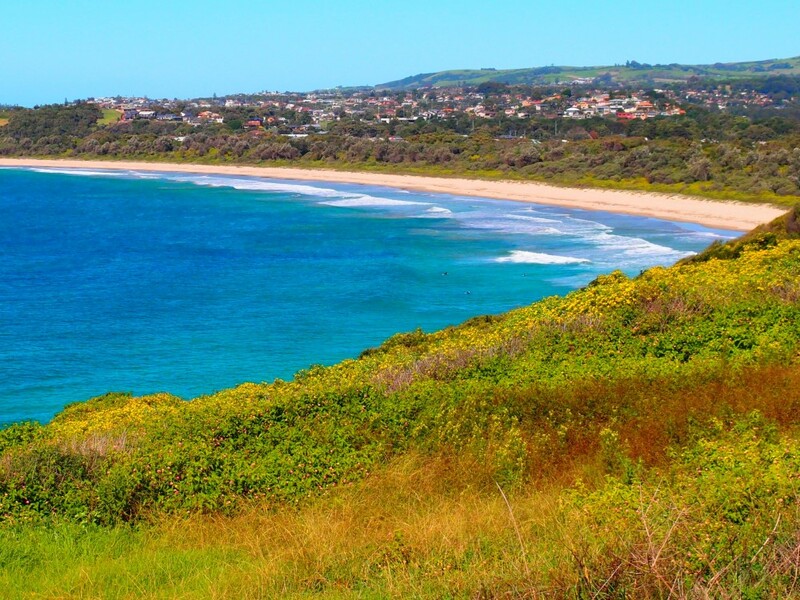 As noted on Surfing Reserves website, Killalea State Park occupies 8 kilometers of coastline. Its borders are Shell Harbour on the north and Kiama on the south. There are two prominent beaches in the Park: The Farm and Mystics. 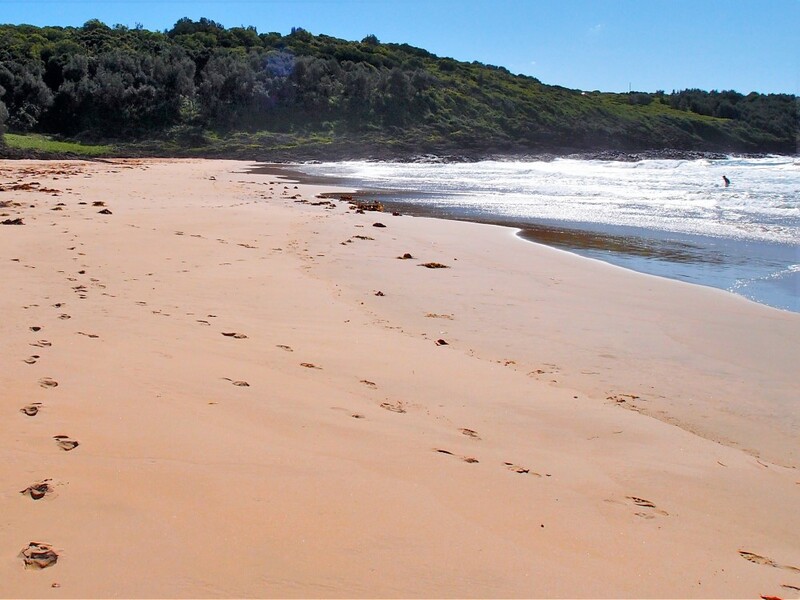 Killalea State Park and its two beaches are recognized for their importance. The Park is recognized for its biodiversity and the uniqueness of its ecosystems. The beaches are recognized on the National Surfing Reserves. The surrounding region of Illawarra was originally inhabited by Korelwal, Elouera and Jerrungarugh tribes. These tribes spoke the Dharawal language. This land was of great importance for Aboriginal people because of the rich food resources. You need to take a path from car park to Mystics Beach. It is not possible to access the beach directly by car. You need to drive to the car park above the beach and then continue by foot. The river that runs on the other side prevents easy access to the beach from town. In fact, the only way to get to the beach is via Killalea track. 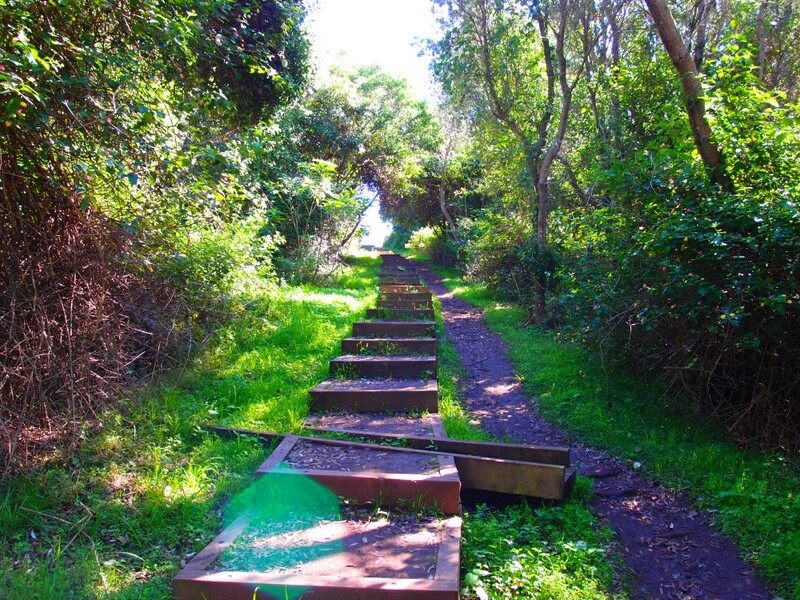 It will lead you to the car park situated on top of the hill leading to the beach. Since the beach is not always easy to access it is highly advisable to bring a map. The car park is located on the northern end of the beach. From there, you need to take a path down to get to the beach. The path is not long but it’s steep and surrounded by vegetation so you need to be careful. Long way down the steps to Mystics Beach. Once you get to the steps, take the path down the slope of the hill. It takes at least 5 minutes to go down the path to the beach. Watch your step and go slowly: the steps are steep and a bit uneven. 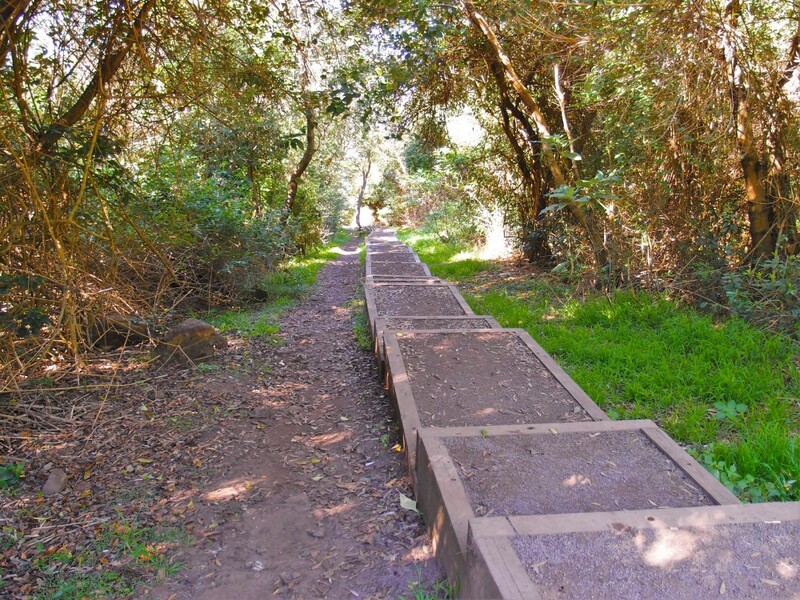 On the other hand, this is a great path surrounded by vegetation so it’s ideal for those who like relaxing walks in the nature. You can admire the view and enjoy vegetation as you go down the path. It’s better not to rush so you can enjoy every step. Beautiful view as you come down to Mystics Beach. The area offers beautiful scenery and stunning views. As you go down the path watch closely for your first view of the beach: you will sure be impressed. The nature and vegetation offer beautiful scenery and the beach itself is quiet and stunning. The path is a perfect spot to take some great photos of the beach from a distance. Make sure to admire the view and enjoy the scenery before you go down to the beach. Mystics Beach: open space and waves. This is a great surfing spot. The beach offers fairly consistent surfing conditions, although you need to keep in mind that summers tend to be flat. It is best to go surfing when the winds come from the north-west and west. The ideal swell direction is from the south-east. The best surfing conditions are during mid-tide. Remember that the waves tend to break both left and right. One of the best spots for surfing is the northern end, just below the car park. There is a so-called “Mystics reef” that is ideal for surfing. This is a secluded beach and it is not patrolled by lifeguards, so this is something to keep in mind. It is best for more experienced surfers so beginners are advised to seek other beaches, preferably those that are regularly patrolled. Keep in mind that surfing is not the only activity you can do here. This beach is good for swimming, camping and other activities so you will sure enjoy even if you are not an experienced surfer. 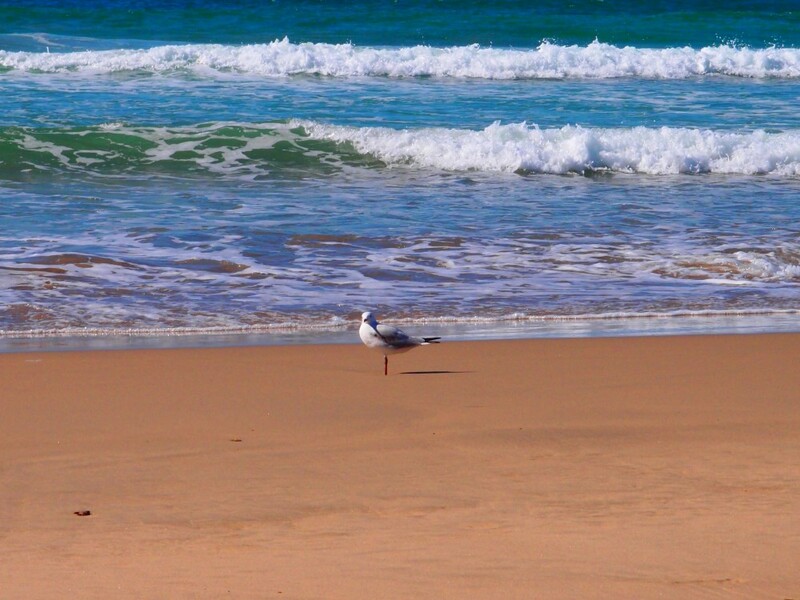 Birds are often the only ones on the quiet Mystics Beach. This is a secluded, quiet beach so you will sure have privacy. It is ideal for those who don’t like busy, crowded beaches and are looking for a quiet place for swimming and surfing. Most of the time there are only a few visitors on the beach and chances are that the birds will be your only company. If you are looking for a quiet, secluded beach this is the best choice for you. 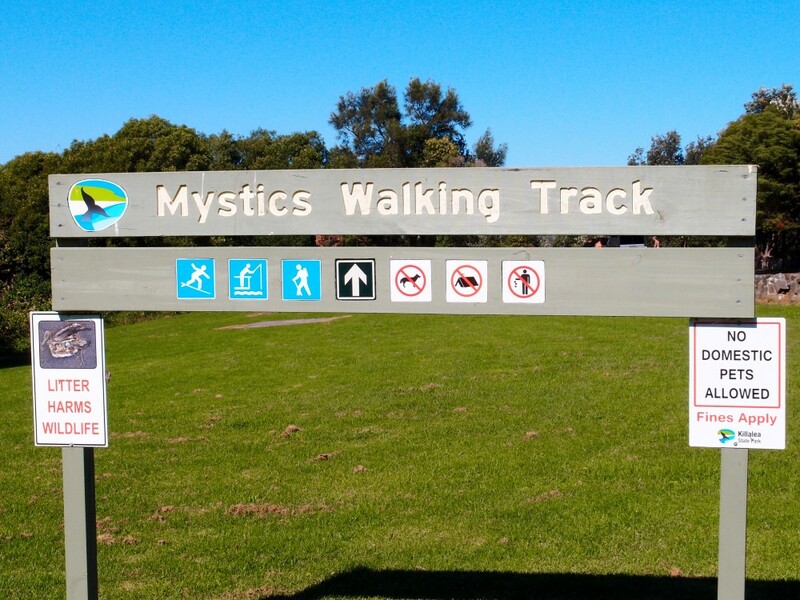 Mystics Beach offers walking tracks, fishing and other activities. There are many activities you can do at the beach even if you don’t want to swim or surf. The beach has many walking tracks you can use for various activities. The nature is beautiful so the paths are great for walking or running. This is a great place for relaxation. You can have a picnic or even camp near the beach. You can also try fishing. The best place to do this is the river mouth, just behind the beach. Bird enjoying clean water and sand at Mystics Beach. The beach is very clean and beautiful. It is great for those who like soft, clean sand and perfect waves. One great thing about this beach is that is great for both swimming and surfing. Surfers will love the northern end where the waves tend to be bigger than 1 m. The waves are the best at the northern point so this is why surfers choose this spot. Swimming, on the other hand, is best on the southern end. The rips are not frequent at this point so the ocean provides great conditions for swimming and other water sports. However, make sure not to go all the way to the river mouth. There are strong river and tidal flows that are not great for swimming. Also, remember that this is not a patrolled beach so there are no lifeguards on duty. There is never any crowd for surfing at Mystics Beach. Surfers will love this beach because there is almost never any crowd. You can surf freely whenever you go to this beach. This is also a great place for camping. 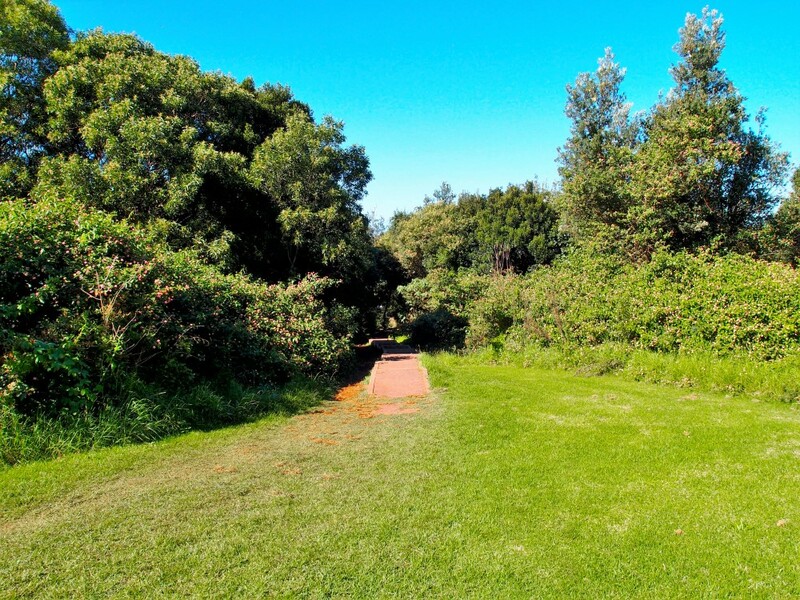 While campers will love other places in Minnamurra because of the perfect nature and sunning views, keep in mind that the beach itself offers nice conditions for short-term camping or picnicking. Way up the same steps from Mystics Beach requires quite a bit of work. Only for the fit. Coming back from the beach requires some work so make sure you are ready for it. Remember, the steps are steep and a bit uneven so it’s quite a bit of an adventure. You will love it, especially if you enjoy the nature. However, keep in mind that the walk up the hill might be exhausting after the long day at the beach. Make sure you are in a good shape or take frequent breaks as you climb up the hill to the car park. Mystics Beach is close to the Kiama Blowhole. There are many attractions in the Minnamurra area that you might want to visit. This is a true gem on the South Coast full of stunning views and beautiful scenery. You may also wish to visit the famous Kiama Blowhole. It is located in Kiama, just to the south of the Mystics Beach. This is one of the most popular attractions on the South Coast so make sure to visit it. 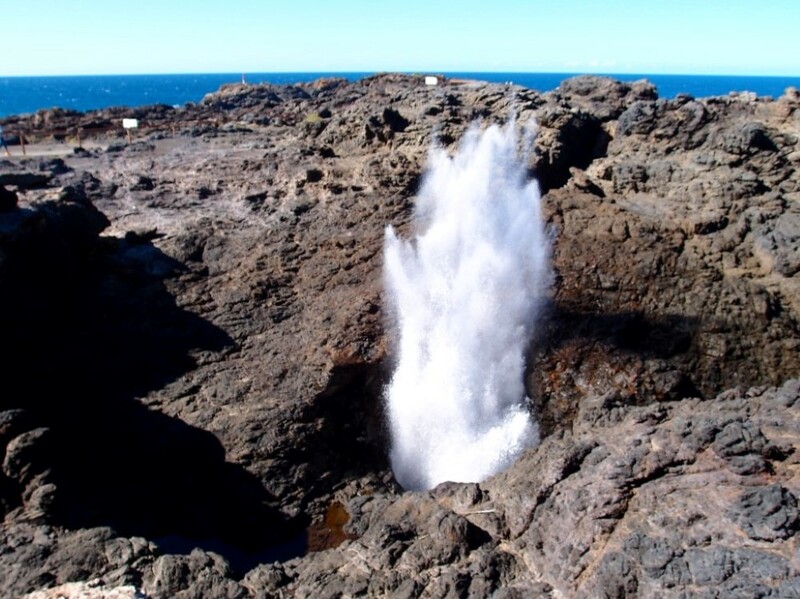 Kiama Blowhole is the largest blowhole in the world and a fantastic natural phenomenon you will love to go there. The Blowhole Point where the blowhole is located also includes other attractions, such as the famous lighthouse. It makes for a great trip and it’s not far away from Mystics Beach.